Diss Museum’s latest acquisition is the old Grammar School clock. It has been restored and put back in working order by former pupil Nigel Barber. Mr. Barber, a pupil from 1954 to 1961, now lives in New Costessey and is a member of the Old Dysseans. After the school in Shelfanger Road was demolished in 1991 the clock lay under the stage at Diss High School. The museum borrowed it to commemorate the Grammar School centenary in 2008 and have now acquired it permanently. 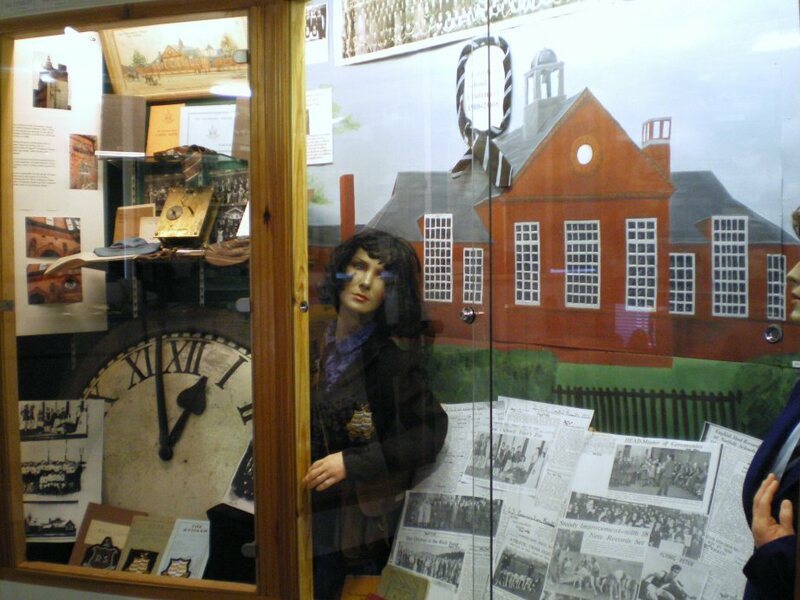 Diss Museum’s exhibition in 2008 to commemorate the centenary of Diss Grammar School.